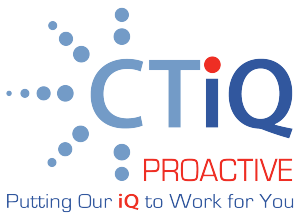 Server Care | Consolidated Technologies, Inc. : Consolidated Technologies, Inc.
CTI’s Server Management offers provide our clients with unsurpassed peace of mind knowing CTiQ Proactive is actively monitoring their critical applications. Intelligent monitoring software combined with a 24x7x365 Service Desk and NOC offers a killer one/two punch to keep your business running. In addition to intelligent software and skilled resources, CTiQ Proactive has been developed using automatic maintenance scripts. This means things get fixed without human intervention, saving clients IT Cycles, as well as increase application up time. CTI’s world-class Network Operations Center (NOC) provides unmatched technical support and expertise, 24x7x365. By absorbing up to 90% of routine tickets, our NOC takes the pressure off of your IT Department, freeing you from costly labor and technology infrastructure investments – and allowing your most skilled employees to focus on revenue-producing projects.